The Tale of the Toothworm - Gregory L Palozola D.D.S. P.C. Ever wonder just exactly what causes cavities? Once upon a time, “Toothworms” — miniscule, yet relentless pests — were thought to be responsible for this widespread malady. This belief persisted from ancient times through the 17th Century; William Shakespeare even made reference to the baneful beasts in his play Much Ado about Nothing. (“What, sigh for a toothache? 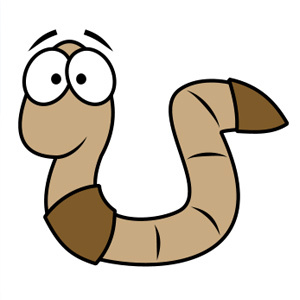 [It] is but a humor or a worm.”) Today, however, we know why no one ever observed an honest-to-goodness toothworm: it’s because they’re much too tiny to see with the naked eye. Actually, it isn’t worms, but much smaller organisms that cause tooth decay. These harmful plaque bacteria (along with many helpful microorganisms) live in the mouth, and build up on surfaces of the teeth when they aren’t cleaned properly. They feed on sugar in the diet, and release substances that erode tooth enamel, which causes small holes called cavities. Cavities, in turn, are what’s responsible for most toothaches. While we may scoff at old legends, one fact remains: Even today, according to the National Institutes of Health, tooth decay is the number one chronic disease of both children and adults; and it’s almost entirely preventable. We can’t blame it on toothworms — but what can we do about it? Glad you asked! The best way to avoid decay is through prevention. That means brushing your teeth twice a day with a fluoride toothpaste, and flossing them every day. It also means eating a balanced diet and avoiding acidic and sugary foods — like soda, some juices, and sweet, sticky snacks. If you do consume these types of foods, limit them to mealtimes; that gives your saliva enough time in between to neutralize the acids naturally. And, of course, make an appointment see us twice a year for a complete check-up and professional cleaning. If you do begin to notice the symptoms of tooth decay (toothache, for example) it’s important to come in to the dental office right away, so we can treat the problem before it gets worse. Prompt action can often help save a tooth that might otherwise be lost. Besides filling the cavity, we may be also able to recommend ways to help prevent the disease from affecting other teeth. And if you need a more extensive procedure to relieve the problem — such as a root canal — we can make sure you get the appropriate treatment. We’ve come a long way since the “toothworm” days — but we can still do a lot more to make tooth decay a thing of the past.